Going back to school is no longer uncommon for adults these days. Whether it’s to obtain a college degree, explore a different field, broaden their knowledge or improve their chances of getting high-paying jobs and promotions, these individuals are making the decision for their own growth and development. If you’re thinking of taking the same path, it’s best that you give yourself enough time to deliberate. You have to know that you’ll be dealing with several downsides, such as financial shortcomings, lesser family time, work-school balance, time management problems, and conflict of interest. Also, it’s important that you’re financially and mentally prepared before you push through with your plan to pursue college education in your adult years. Although going back to school in your age can be quite intimidating and challenging, it’ll be a huge accomplishment you and your family will be proud of. Sure, there will be plenty of obstacles along the way, but you’ll eventually learn how to handle them effectively as long as you remain focused on your goal of finishing school. Learn to balance family-work-school time. One of the toughest challenges as an adult student is juggling your hours. Think of school as a part-time job. You should choose a time that works best for you, perhaps during weekends or every night after work, whichever sounds convenient. Since you’ll be adding study time to your routine, expect to make some changes in your usual activities. This can mean cutting back your hours spent watching TV shows, socializing or even working out. Don’t hesitate to turn down invitations by friends to meet up or your bosses’ request to do overtime work—they’ll understand. Consider choosing a school that offers financial assistance. Going back to school requires a lot of money. For adults, it’ll be much more costly given the fact that their parents are no longer paying for them. It’s even more painful for those who already have families of their own. The good thing is, there are schools that offer scholarships. Do your research online, and you’ll definitely find tons of options. We also suggest you complete the Free Application for Federal Student Aid (FAFSA), which can give you access to loans, federal grants, and work-study programs. Make sure to pick a school that prioritizes older students. Unfortunately for many adult students, they often feel left out in classes or on campus with the much younger population. For instance, most schools offer counseling services that only focus on issues and situations faced by teens and young adults. 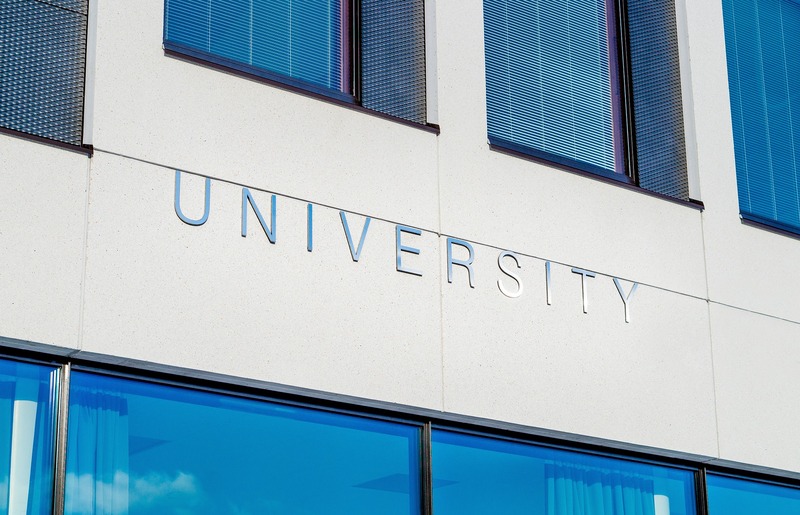 Find out about the 25 best colleges for adults here, as ranked by LendEdu. When looking for the right college or university, it’s a good idea to learn about their policy on credit transferability. If you’ve already earned credits from another institution before, ask your prospective school how many of these credits would be accepted toward your chosen degree. Remember, the more credits you get to transfer, the cheaper you’ll pay for your degree. One of the requirements for school application is to pass an exam (which depends on the degree you wish to take). Be sure that you study for it even for just a day to refresh your mind. Avoid cramming as much as possible. If you think that your demanding schedule would make it difficult for you to attend classes in school, consider enrolling in an online college course. Not only will it save you time and money from traveling, but it also gives you the freedom to watch lectures at your convenience. Do you own a car or motorcycle or any other type of vehicle that’s barely usable anymore? Have you been planning to get rid of it? We’d love to have it with us as your donation! Goodwill Car Donations transforms the donated vehicles we receive into fund-generating tools to support Goodwill nonprofit organizations all over the country that provide disadvantaged and unemployed Americans with life-transforming services. We auction off these vehicles with the proceeds going to the Goodwill organizations in your area. They use the funding to sustain their critical programs and services to the community such as skills and job training, career development and placement, scholarships, youth employment, livelihood, disability benefits support, and other community-building support services. Your vehicle donation will also personally benefit you since this will entitle you to claim a top tax deduction when you file your itemized federal income tax return. To know more about Goodwill Car Donations and our donation process, feel free to visit our FAQs page. For inquiries, give us a call at our toll-free hotline 866-233-8586 or send us your message online. Make a Difference in the Lives of Underprivileged Folks! Going back to school will definitely provide you limitless opportunities to advance your personal growth. You can help the underprivileged folks in your community achieve the same result with your car donation. Call us now at 866-233-8586 and make a difference in their lives!